Saturday's are Drop-In days at Bunker LaserTag, meaning you can literally pop by to join in a laser combat game without having to pre-book or be part of a larger group of people. We open from 10am to 1pm for Drop-In groups of all ages, with games starting every half-hour, subject to having at least 4 players waiting. Please do not call to book in your Drop-In games as we do not reserve places - just turn up and play! Our Saturday Drop-In games consist of a briefing, equipment orientation and 15-mins of gameplay. In total, this takes about 1/2hr. Single Game Tickets are available from our sales counter and then extra games are discounted. When you arrive, buy your Tickets and then add your names to the waiting list for the next available game. 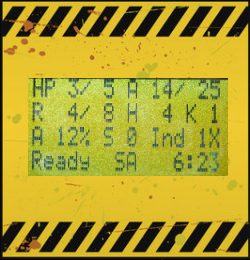 As long as at least four names are on the waiting list when your game is due to start, you will be given your briefing and will then head off to the Bunker for your laser combat adventure. New arrivals have priority entry for the next available LaserTag game, which means any waiting time is kept to a minimum. If you do want to check how busy we are before heading out, then please call us on 01392 464 032 and we will be able to contact our staff to see what footfall is like at that time.